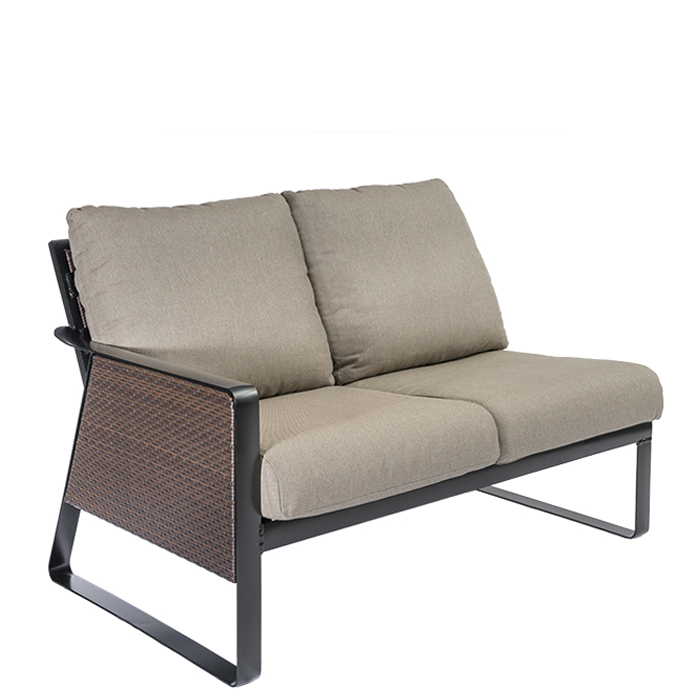 Samba Woven 2-Seat Right Arm Module panels are beautifully woven on each side. Inspired by midcentury design, each panel sits just below the frame for a more comfortably secure seated experience. Our woven materials are durable and created to withstand volatile weather conditions for a pristine finish year-round.